When I was pregnant with my children I would spend hours browsing catalogues and magazines to see what equipment I wanted to buy. I loved looking through an actual catalogue rather than looking online as I could look at things with my partner and circle anything that caught my eye. So when the new Smyths baby catalogue popped through my letterbox last week I was eager to have a read. I am not pregnant and I don't have a baby anymore but I do have a three-year-old who is in need of a new car seat and I had heard Smyths fit your car seats in store for you - perfect. The new catalogue was bursting with 84 pages of fab baby and toddler products, it really does have everything you would need for baby. From pushchairs and car seats to highchairs and safety products, Smyths has it all making it your one stop baby and toddler shop. 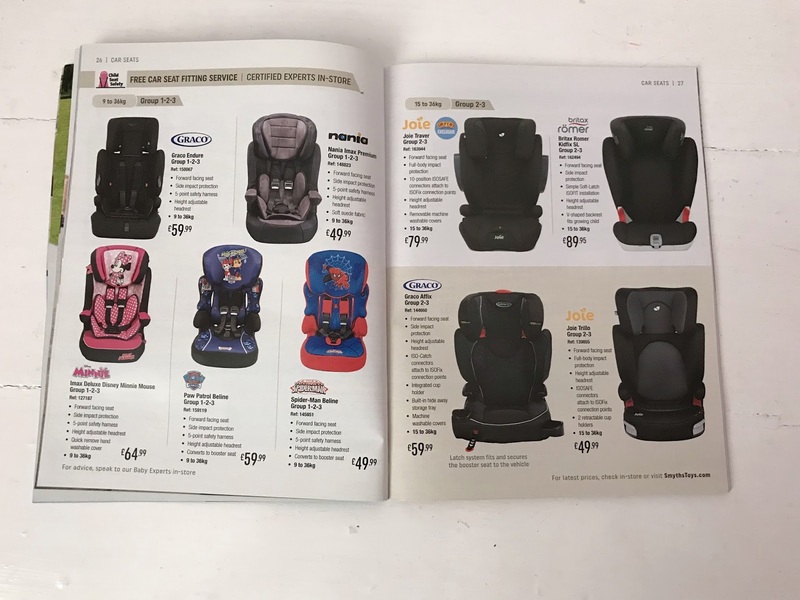 They had a really good section of car seats and I was easily able to see the key features and prices of the suitable ones and narrow down which one I am planning on buying my son. 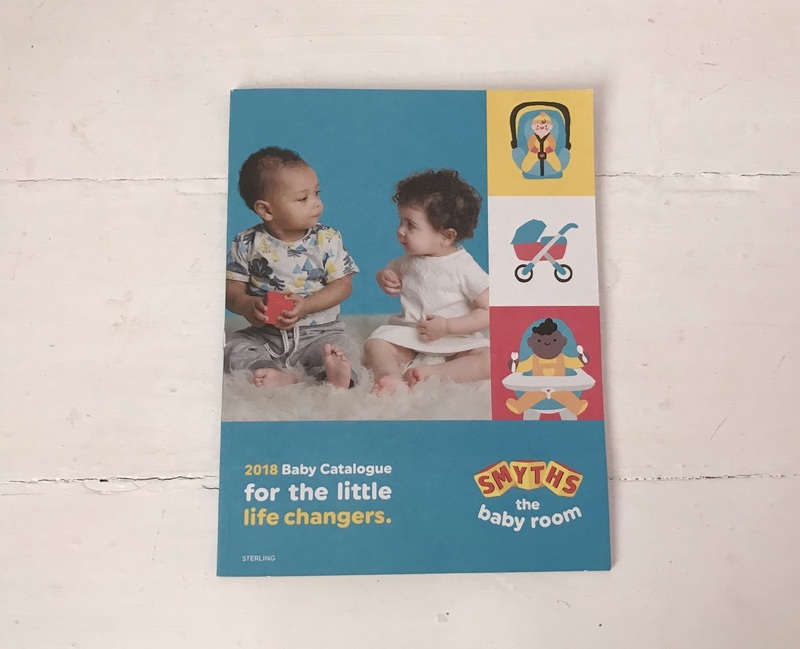 The catalogue is bright and colourful and would be so useful for any new parents to be out there who are unsure what baby products to buy as it is full of handy tips. There are so many great baby products on the market now compared to just three years ago and I could not help lusting after some of the products even though my baby days are over. 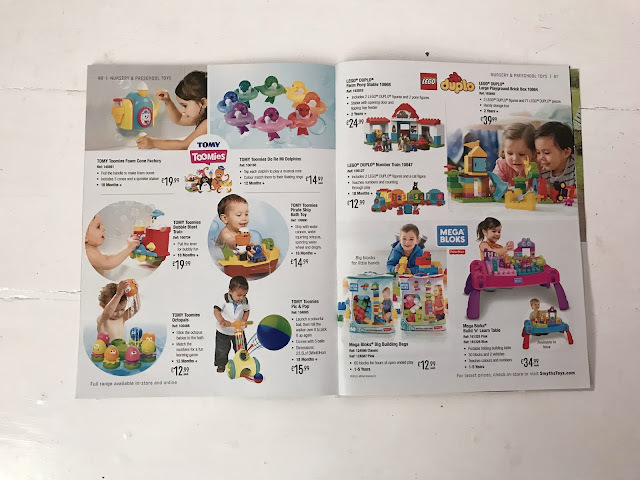 The catalogue also had a pre-school toy section at the back, much to my sons delight as he has been marking off which toys he would like (pretty much all of them). The thing that I really love about Smyths is that you can either buy online or visit your local store, whichever suits you best. You can also check online to see if the product you want is available to buy in your local store before you visit or click and collect, saving you from making a wasted trip if it is out of stock. 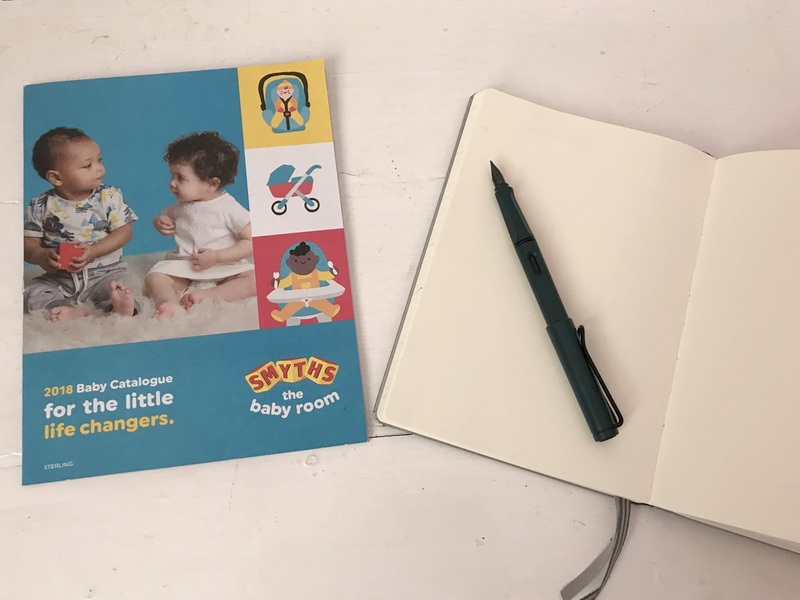 As a family, we are huge fans of Smyths as my children love browsing the Christmas catalogue each year, visiting the store so the children can spend birthday money and doing all of our Christmas shopping there. You can pick up the new Baby Catalogue instore now for free, so if you are having/have a baby or know someone who does then make sure you grab your copy next time you visit. Disclosure This post is written in collaboration with Smyths. Oh I love catalogues like this and love making wish lists from them! That Paw patrol seat looks like the perfect one for my twin 2...he has Mickey mouse one but is a huge fan of paw patrol, so I won't be letting him know about that!! Looks like a great catalogue. I can't believe how much the Smyths brand has grown in the last few years! I spent hours browsing the Smyths baby catalogue when I was pregnant with my son and bought a few things from there as a result! Its been a long time since i last browsed a catalogue, I used to enjoy that but now most are just online. I thought Smyths only sold toys, this has been a real eye-opener!